The Devon Collaborative Outreach Network, led by Plymouth University, is to receive around £500,000 over the next two years to establish and develop a new network devoted to helping more people access higher education across the South West. Plymouth University, in partnership with the University of St Mark and St John, Plymouth College of Art and other Partner Colleges, will cover around 80 schools in the county, as well as South East Cornwall and areas of Somerset. The network will focus on raising awareness of higher education by improving access to higher education otreach activities, ensuring accessibility in geographical cold spots. It will also tackle some specific issues, such as under-representation of target groups in HE. The funding is part of the National Networks for Collaborative Outreach programme, funded by the Department for Business, Innovation and Skills, which will see 200 universities work with 4,300 schools across 35 local networks. “This is one of the largest individual awards in the country, and that shows just how important HE participation in the South West is viewed by government. 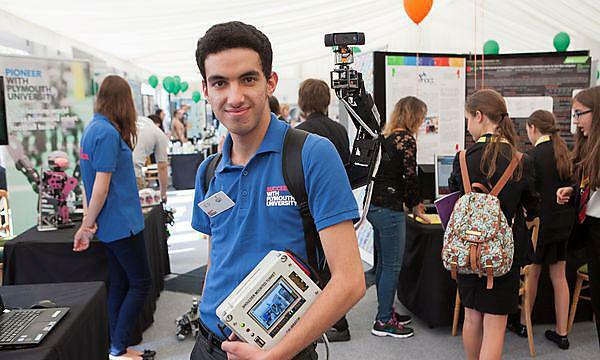 Attending university is seen as one of the biggest contributors to raising aspirations and creating social mobility, and our aim has always been to focus on talent no matter where it is found. Plymouth University will act as the single point of contact to help teachers and advisers find out about higher education outreach activity in their area and to provide general advice about progression into higher education. The network will also create and host a website containing a wealth of information for schools.